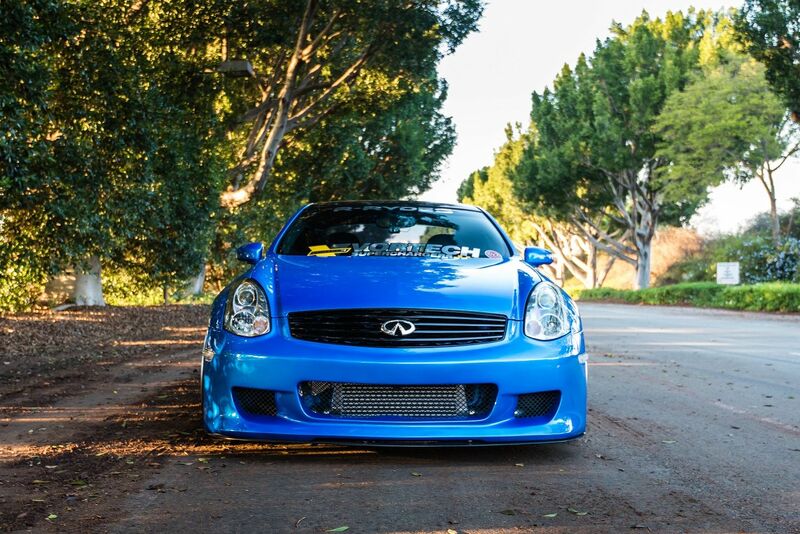 The Infiniti G35 Coupe 6MT 2005 auto has one of the most aerodynamic looks of all the models of that year. One such speed demon is owned by Alfred Senato who is no stranger to custom-designed projects. 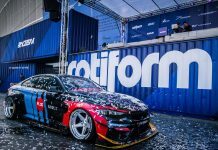 Some people even consider him to be a veteran but according to Alfred, he didn’t modify all these cars to the competitive level and all these past projects were just for fun. 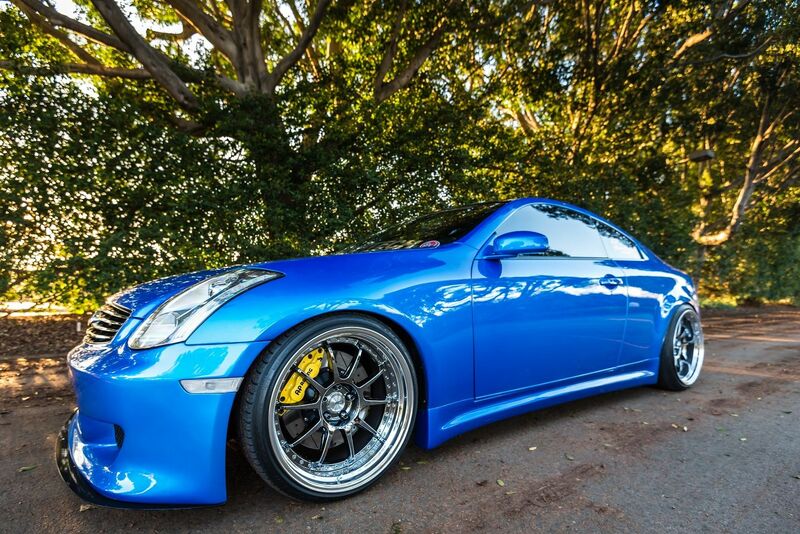 When he bought his G35, the guy decided not to reserve any money and modify everything. His car boasts a supercharger kit from Vortech while the engine is finished with meticulous detailing. Moreover, the 3-stage customized paint job in Lamborghini Blue Pearl color sets this beast apart as well. The front bumper comes from Kuruma Z along with other exterior panels. The underside of the chassis doesn’t go unnoticed as well. 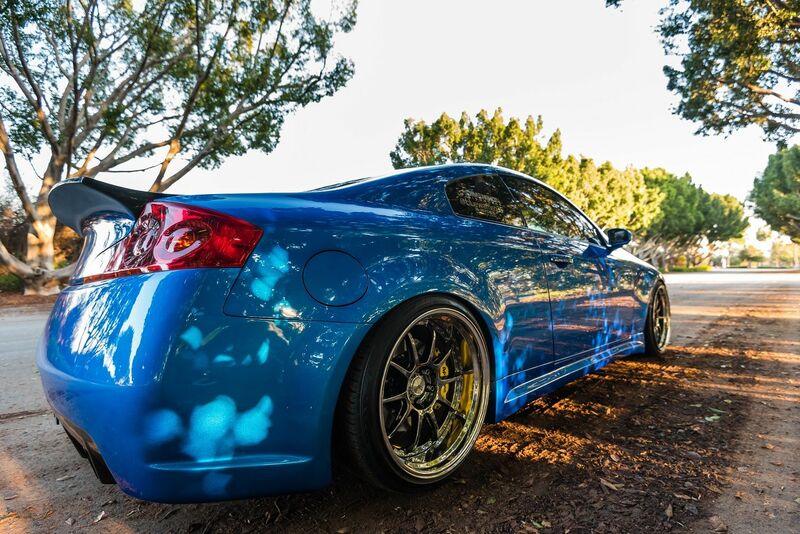 The G35 sets well on three-piece SSR SP3 wheels with the finishing of Super Black coating. These black wheels give the car a unique persona and they match perfectly with the blue finish. For accommodation of the width, the fenders had to roll out and pulled around and it set the trend with wider shoed customization. 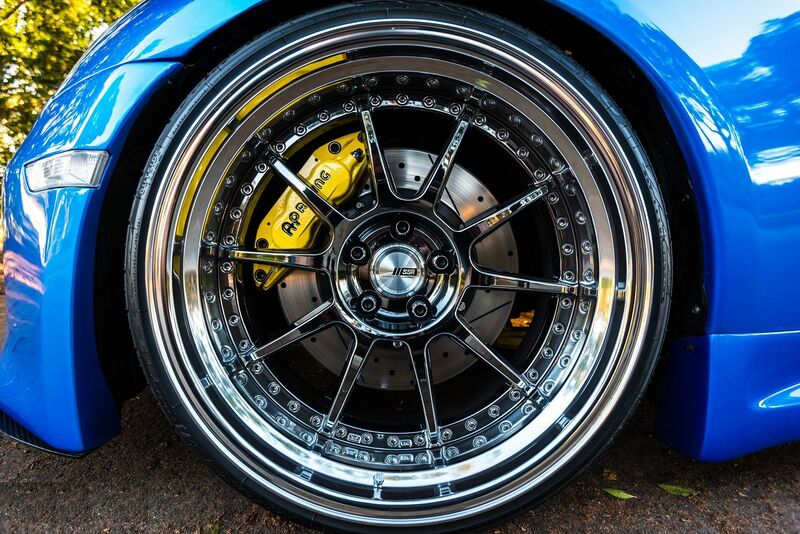 The wheels house an AP Racing 6 and 4 pot calipers set that looks glorious with the custom coating. The G35’s trunk has a mild audio setup, which is good because most people don’t even emphasize on their ICE nowadays. The project is much more focused on boosted G but Alfred wanted to revamp the stereo to add more internal components. 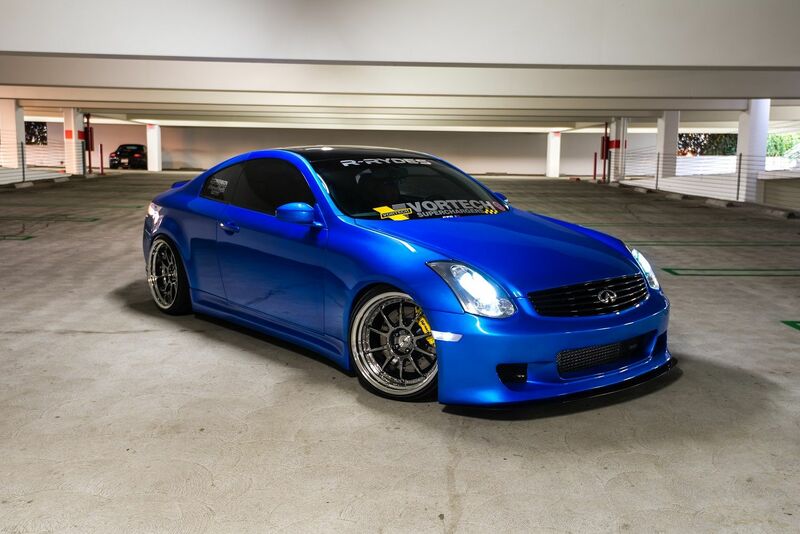 The G35 features VQ35 revved up with Vortech V3 w/sci trim all polished and Osiris tuned 357tq and 420rwhp. It has HKS Hypermax III non-sport coilovers as well as front and rear camber arms from SPL along with upper and lower control arm bushings. The vehicle houses 3-piece SSR SP3 wheels with the super black coating. In addition, you’ll find non-modified Poly Impul SS from ARCH along with customized Chargespeed back bumper with carbon. Most of this G35 is polished and looks extremely clean. Obviously, Alfred loves to see his reflection in everything. The car is so clean that you can eat breakfast from it without getting any infections. It was his first all-out stanced project but after seeing the car, you might think otherwise. 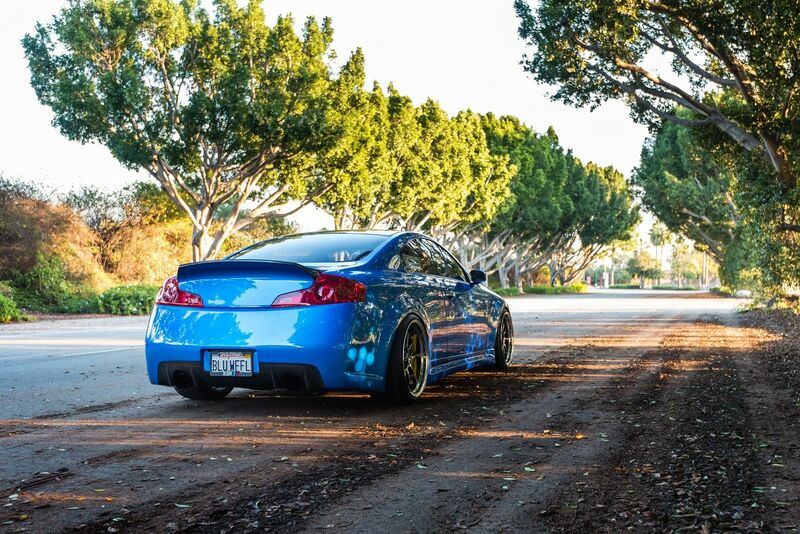 Alfred’s stanced Infiniti G35 looks extraordinary on the road with its Lambo Blue and the rest of the customized parts. It is a successful project by all means.